By Hong Soon-do, Beijing correspondent, AsiaToday - It's highly likely that Cho Hee-pal, a notorious swindler who forged his death certificate to avoid Korean police's investigation, is hiding out in large cities of Shandong province, such as Qindao and Weihai. Cho, who is known for having a special fondness for golf, women and liquors, might show himself to enjoy his hobby if the investigation tranquilizes. 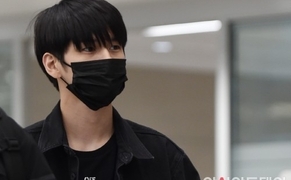 According to a well informed source in Beijing on Monday, Cho's face has become quite well-known even in China, although he underwent plastic surgery to change his face upon arriving in China. So it's not easy for him to go outside thoughtlessly for outside activity. It means he needs to be hiding himself well. The source said that there is little possibility that he moved to somewhere else. Although there are rumors that Cho sneaked into Guangzhou of Guangdong province. However, Cho has been living in Shandong for nearly seven years, and it must feel safe and comfortable region to him. Another source said, "Shandong itself is much bigger than Korea. Its population is close to 1 million. He won't feel the need to move to other region." The rumors that he fled to either Cambodia or the Philippines seem to be not true. Above all, it's almost impossible for him to use the fake passport he had been using under a name of an ethnic Korean, Cho Young-bok, or Cao Yongfu. Of course, he could have fabricated a new passport, but it seems reckless at the moment. Moreover, it seems unreasonable to flee to Philippines since Korean National Police Agency is operating 'Korean desk' in the country. Of course, he could be out of Shandong to avoid the shower. In fact, there are rumors that he has fled to either neighboring Liaoning or Jilin, where many ethnic Koreans live. However, even it's true, it seems a matter of time to come back to Shandong as the area has been his long-time living base and considering the fact that he may have ownership of real estate in the region. It seems clear that the Korean police should be eyeing on Shandong.